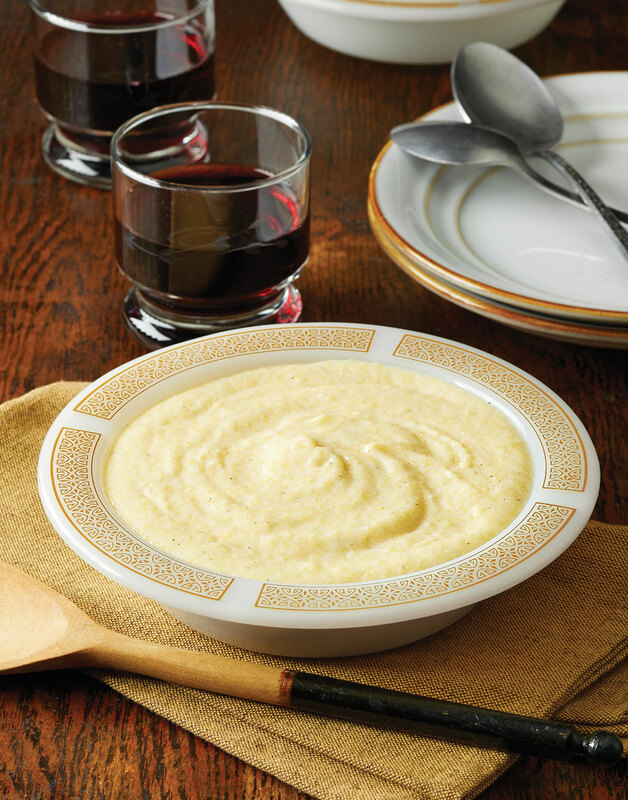 Mascarpone, Parmesan, milk, and chicken broth come together to make this Creamy-Cheesy Polenta the most delightful base for a stew or ragu. Cream cheese works in place of mascarpone in a pinch. If you like a looser polenta, it’s OK to add an extra cup each of broth and milk. You’ll end up with a little more polenta, but that’s OK, too. Heat broth, milk, salt, and pepper in a saucepan over medium-high to a boil. Whisk in cornmeal, reduce heat to low, and continue whisking for 5 minutes.